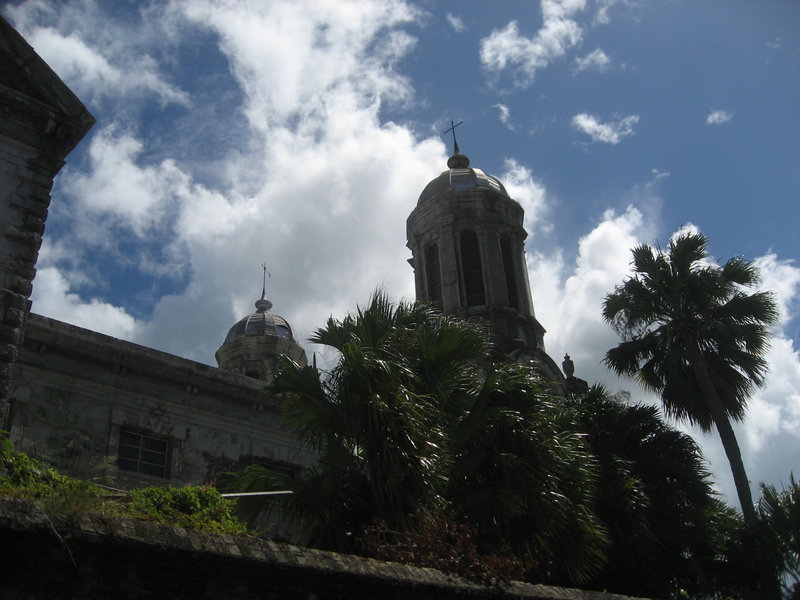 A brief guide to St Johns Cathedral in Antigua with some specially selected videos. Escape the midday sun in the St Johns Cathedral. This is a must do spot if you are visiting the capital of Antigua St Johns. It has been destroyed twice before once in 1683 and 1745 due to earthquakes. The latest 3rd building has a wooden shell and a stone exterior and has survived subsequent earthqualkes. It's a very intriguing place of worship especiallly with palm trees and the noise of St Johns. It's not hard to find St Johns Cathedral because you can see it often as one of the most prominent buildings in the city. You can get to the Cathedral in about 10 minutes depending on your personal fitness and the heat of the day. If you are visitng from a cruise ship then take one of the northern running streets such as Redcliffe St, St Marys St or High St North. Turn left on Market street and follow that to the end turn right on Newgate Street and you will be there. This video has been filmed using a uav or drone. It shows the cathedral from an interestng angle.